In 1979, I became obsessed with a TV drama which some of you may remember. 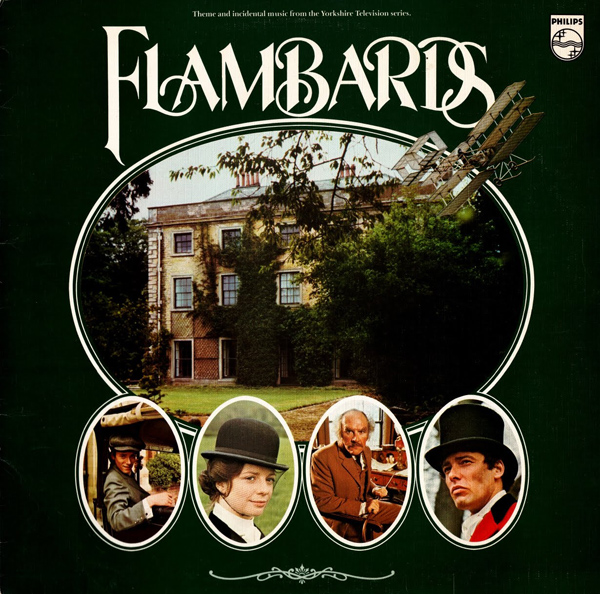 Flambards was a period drama set in England just before the First World War. I enjoyed the show very much, the main reason however was not the drama itself (which I did enjoy enough to buy the books, and eventually years later, the DVD), but the music! The music was written by David Fanshawe, and I can trace my interest in music right back to this programme. 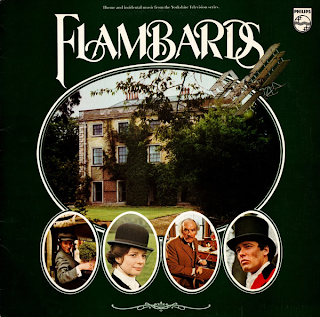 Soon after the series finished, the soundtrack was released on Philips records. I saved my pocket money up for weeks and eventually that same record became the first record I ever purchased. What I liked, and indeed still like about the music is the sad yet happy images it conjours in my mind. After years of playing the album, the memories it gives me are less and less to do with the TV show itself, but more about my own childhood. The instrumentation is unusual also. It's basically chamber music, but with some exotic instruments thrown in: The Cimbalom is a kind of dulcimer with a similar sound to the Yang Ch'in played by Lisa Gerrard of Dead Can Dance who I discovered some 5 years later. The Ondes Martenot, which is an early electronic instrument with a sound similar to that of the theremin. These were sounds that I had never heard before, and ever since I have loved listening to unusual instruments and world music. Back in 2007, I stumbled across the composers website purely by chance. I hadn't listened to any of his other work at that point, but I felt compelled to write to him and tell him how his music had influenced my life. He very sweetly sent me a copy of the album with a personal message: "Here is the music you recall from childhood. Now without the crackles! I hope it brings back many happy memories, best wishes David Fanshawe." It certainly did bring back happy memories, but I must admit I still prefer the vinyl copy... the crackles and pops form a part of those memories, and I wouldn't be without them. Sadly, David passed away in 2010. He left behind a wealth of world music and field recordings which deserve to be discovered by all who love music. If you like the music on the above clip, or remember the show, I urge you to visit www.fanshawemusicstore.com where you can purchase a CDR copy of the album. You can also buy the DVD from here.